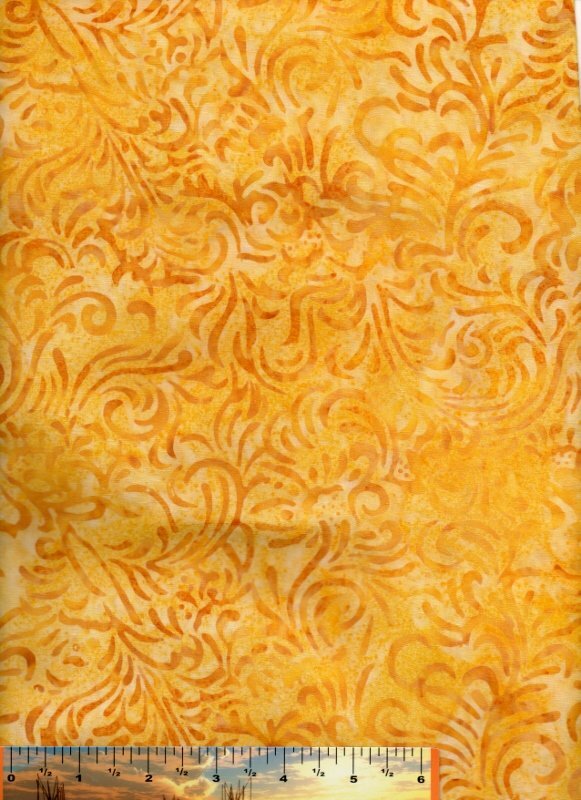 This gorgeous Batavian batik features a marigold flourish woodblock print on a mottled yellow background - lovely blender! 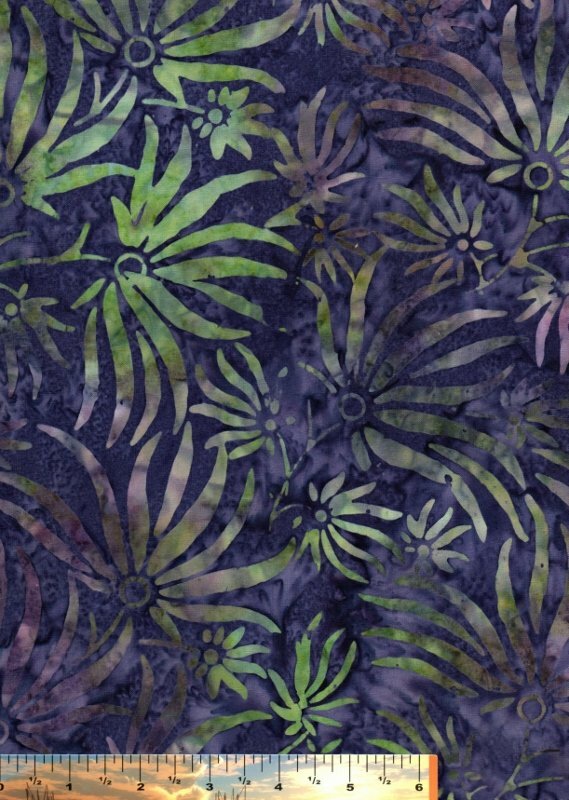 This gorgeous Batavian batik features a woodblock ylang ylang print of greens and mauves on a medium purple background. 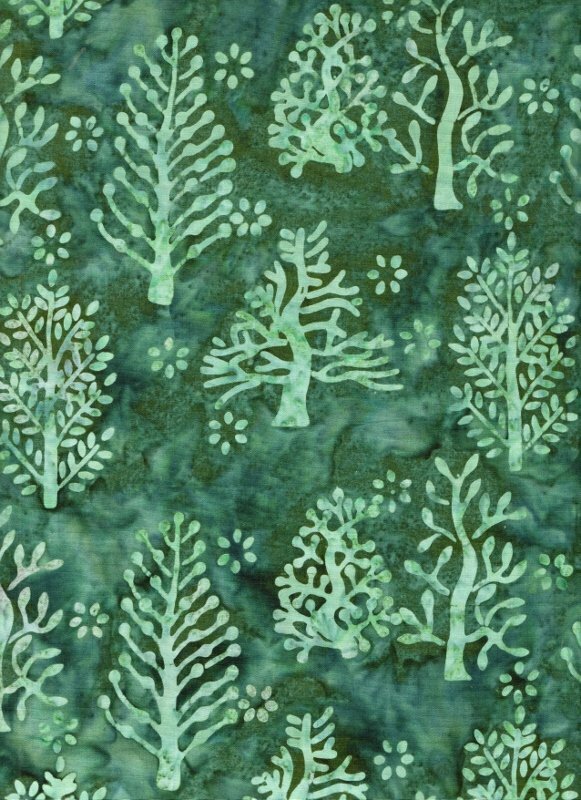 This gorgeous wood block print batik features light spruce winter trees on a rich green/spruce background. 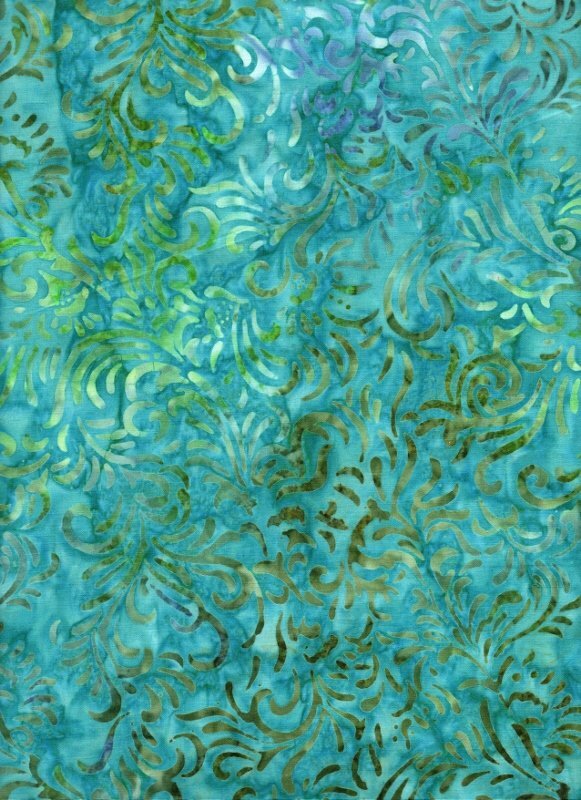 Beautiful flourishes in a variety of colors dance across the medium teal background in this beautiful batik print.